Exploration company Ocean Infinity's vessel Seabed Constructor has departed Cape Town to begin the search for the lost South Korean ship, Stellar Daisy. Stellar Daisy sank on March 31, 2017, with the loss of 22 of its 24 crew. The ship, which was transporting iron ore from Brazil to China, is believed to have gone down in the South Atlantic Ocean approximately 1,800 nautical miles due west of Cape Town. The Ocean Infinity team is expected to be on site and commencing search operations by mid-February 2019. 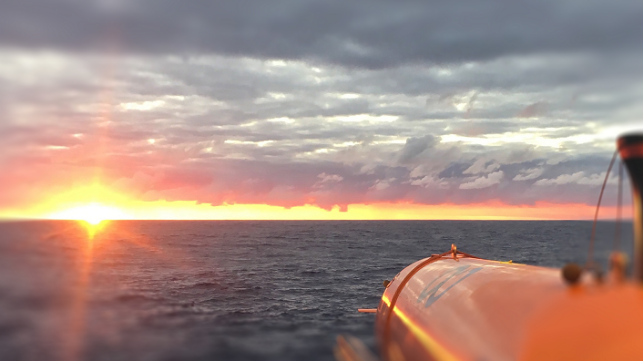 Ocean Infinity will deploy a fleet of Autonomous Underwater Vehicles (AUVs) simultaneously to search for Stellar Daisy. Upon locating the ship a survey of the wreck will be carried out before an attempt to recover the voyage data recorder is made. Ocean Infinity’s AUVs are capable of operating in water depths up to 6,000 meters. They are equipped with a side scan sonar, a multi-beam echo-sounder, a sub-bottom profiler, a high definition camera, a conductivity / temperature / depth sensor, a self-compensating magnetometer, a synthetic aperture sonar and a turbidity sensor. The Stellar Daisy crew's final message reported that she was taking on water and listing, and the two survivors of the casualty reported that her hull cracked before she went down. The families of the missing seafarers petitioned the South Korean government to undertake the search for the vessel, and their campaign gathered over 100,000. Korea's Ministry of Foreign Affairs subsequently contracted Ocean Infinity and said that the search should be completed by March. The 1993-built Stellar Daisy started life as the single-hulled crude tanker Sunrise III. In the late 2000s, single-hulled tankers were being phased out in favor of double-hull designs, and a Korean bulker firm bought the Sunrise and several other VLCCs for conversion to dry bulk ore carriers. About two dozen vessels with similar conversions are still in operation today.